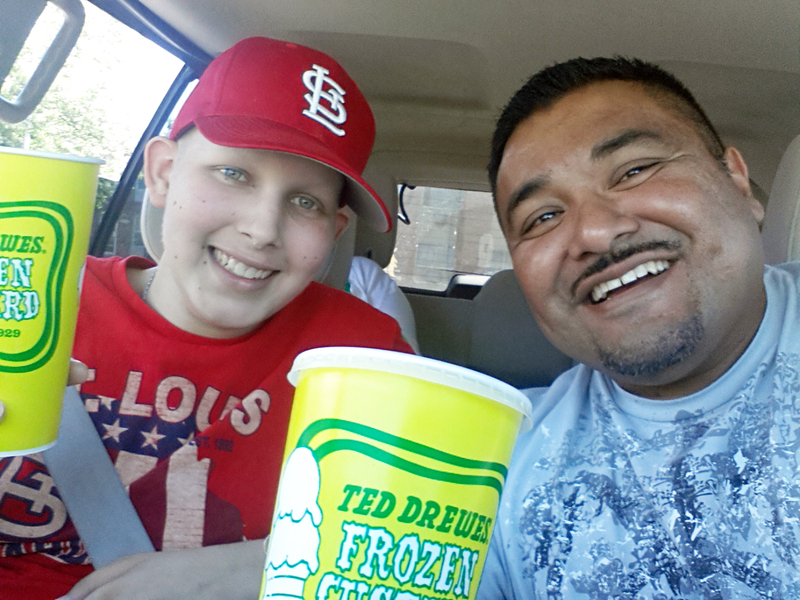 Friends of Kids With Cancer helps patient from The Domincan Republic spending time in St. Louis! Alex is a 16-year-old cancer patient from the Dominican Republic. In April 2014, the Pujols Family Foundation brought Alex and his mother to St. Louis to receive a specific surgery to save his leg at Cardinal Glennon Children's Hospital and additional treatment at St. Johns Mercy Childrens Hospital. Alex visited Ranken Jordan Pediatric Bridge Hospital for physical therapy. 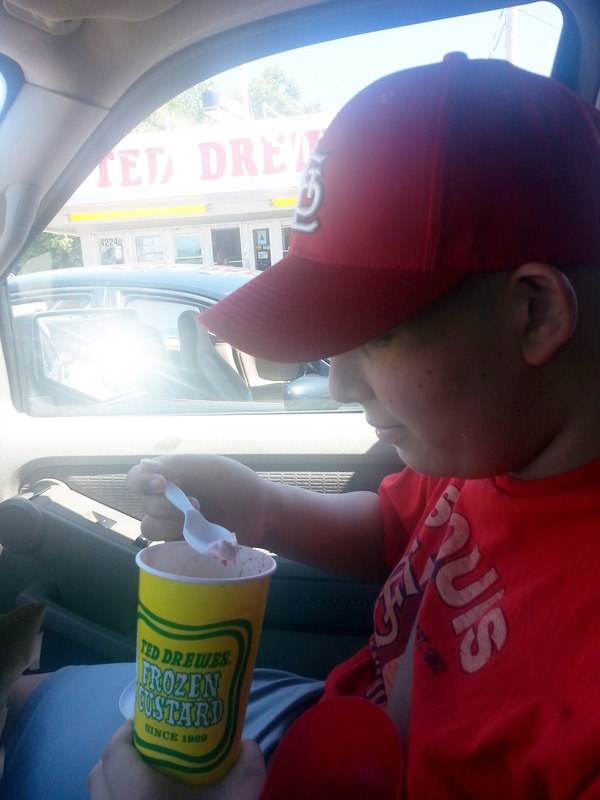 While in St. Louis through mid-August 2014, Friends of Kids with Cancer invited Alex and his mother to visit the St. Louis Cardinals dugout before an April game, Ted Drewes Inc., several different outings and more! Alex’s mother is a math teacher in the Dominican Republic. Neither Alex or his mother speak great English. Due to the obvious difficulty of communicating in English, a great volunteer at Friends of Kids with Cancer, Victor, volunteered to act as translator and friend to Alex and his mother during their time in St. Louis. Victor is a father who’s lost a child to cancer. He helped translate and guide Alex and his mother while attending the April Cardinals game, in addition to grocery shopping and other fun outings. Victor is a great volunteer at Friends of Kids with Cancer and we thank everyone who helped Alex and his mother enjoy feel welcome in St. Louis! Thanks for your hard work Victor! We wish the best of luck to Alex and his mother as they travel back to their home, the Dominican Republic. Thanks for letting Friends of Kids with Cancer enhance your time in St. Louis and supporting our mission: helping kids with cancer...be kids!